Undoubtedly it’s an amazing USB flash drive full of idea. But in any case we wouldn’t like to place the horrible single human thumb on the bed or any place where we can see once opening the eyes. 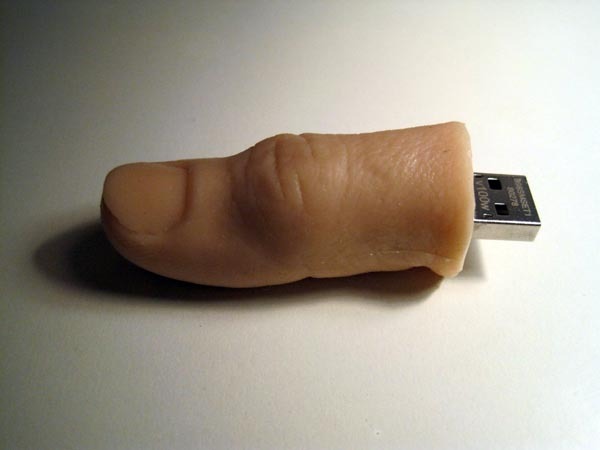 In spite of this, it’s still a fun USB flash drive, which is shaped as the thumb of the creator. 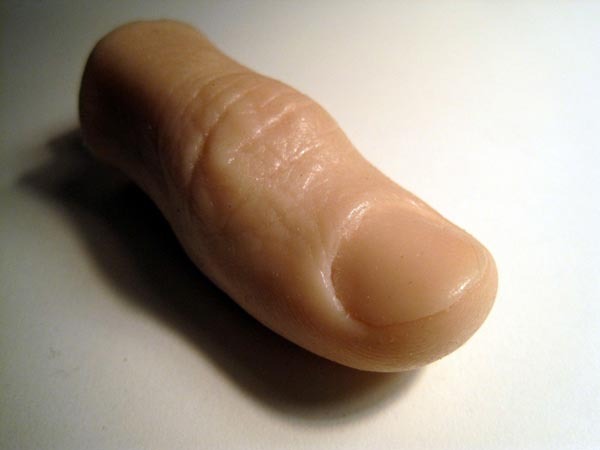 The thumb-shaped USB drive is made of urethane rubber, and comes with a 2GB flash memory. And moreover, a protective cap is also included. 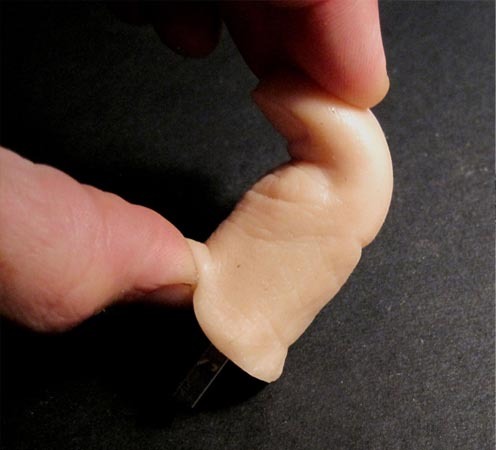 The human thumb USB flash drive is priced at $30 USD. If you like, you can get it from Etsy. By the way, don’t scare your mom or girlfriend. Additionally, if you want more fun options, you may like to check the Tennessee Whiskey USB drive and more via following tags.